Attention all Austinites (or anyone who is looking for some music festival outfit ideas…)! Next month is Austin’s leading EDM music festival, Euphoria. I went for the first time last year, and it has become one of my absolute favorite events in Austin! Being the Live Music Capitol of the World, we have A LOT of festivals here in Austin, but the inclusion of local art and community building have really made Euphoria stand out among them all. If you haven’t seen their lineup this year, check it out. I’m so excited to see Pretty Lights, Chromeo, and The Knocks! It’s going to be a fun weekend. Interested in going? I’m hosting a giveaway on my Instagram for two general passes! Lucky you!! Head to the bottom of this post for more details or go right to the source! 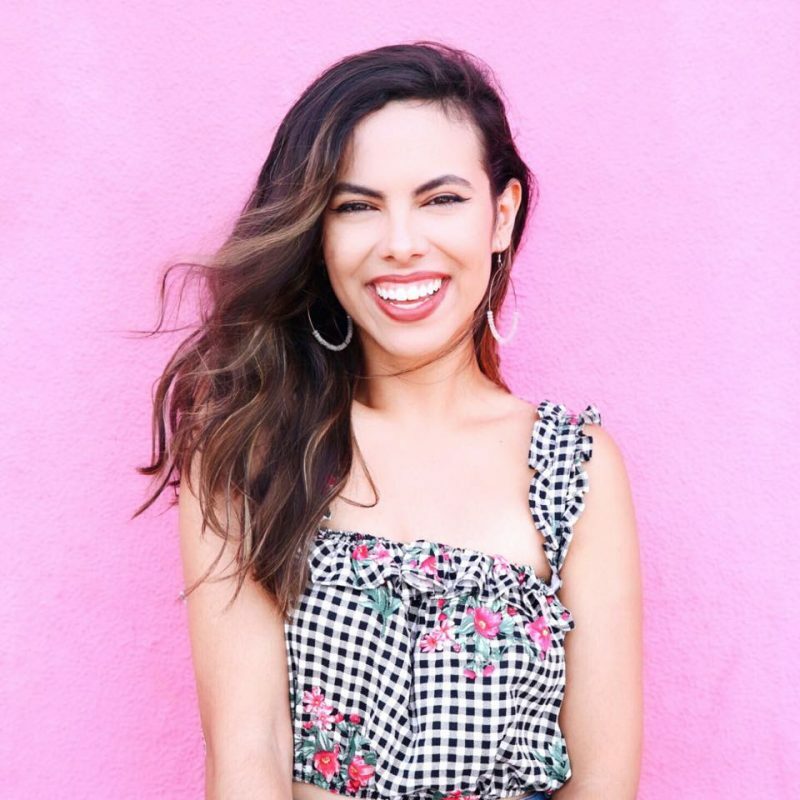 Alright, back to the point of this post… A couple years ago I created a post on what to wear to ACL (Austin’s most popular music festival), but I only gave y’all one outfit idea. This time I decided to not be lazy and give y’all some variety. After checking out multiple girls’ outfits at these types of festivals, I’ve noticed a recurring theme. I’m somewhere between Level 1 and 2 because I like to be a mix of fashionable yet functional; I’m not sure if I’ll ever make it to Level 3 (I’m not cool enough), but that never stops me from admiring those few people from afar. To be honest, no one really cares what you wear because it’s all about the music, maaan, but if you’re still wanting some options, these should have you covered. Make a statement – It doesn’t have to be something SUPER crazy like a pair of wings or an Indian headdress (please don’t), but wear something that will make someone say, “Hey, I like your ____!” It could be a necklace, a funky temporary tattoo (or a real one? ), an interesting headpiece (as long as you’re not appropriating a culture)… Stand out! Keep it hands free – Fanny packs may be frowned upon in the normal world (not by me, obvi), but in Euphoria, they are ENCOURAGED. No one wants to hold things while they dance. Protect yourself from sun – Sunburn is real, y’all. During the day the sun is usually out in full force, so don’t get caught without sunscreen on the very first day and have to suffer the rest of the weekend. Bring a light layer – April is a weird time for weather in Austin. Last year I wasn’t sure how to dress, so I tied a denim shirt around my waist as a back up plan, and I’m so glad I did because it got chilly at night and even started to rain! So definitely have a back up, just in case. 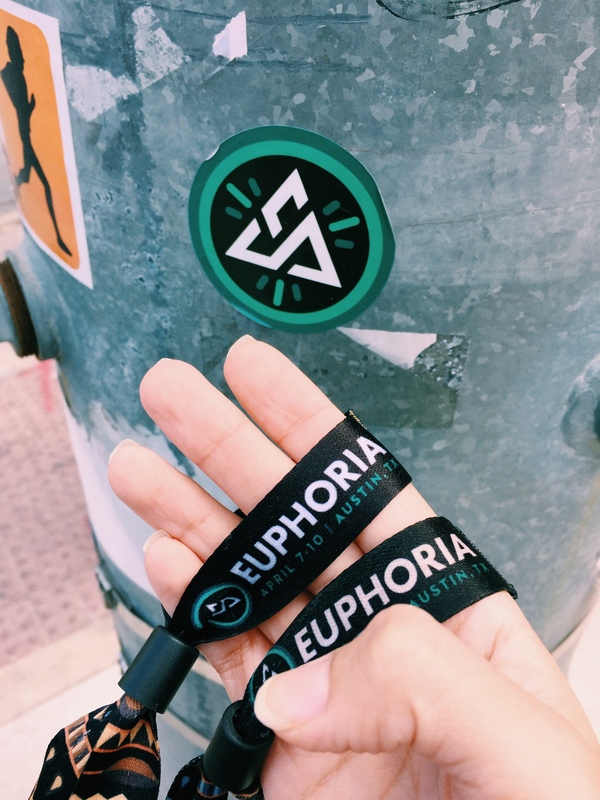 I’m so excited to be partnering with Euphoria for this post to bring y’all a wristband giveaway! One lucky person will win two 3-day general admission wristbands to Euphoria and enjoy a weekend of music, art, and FUN. All you have to do is head over to this Instagram post and tag the friend that you would bring to the fest. Good luck!! This post was sponsored by Euphoria Music Festival; thank you for your support!